Thomas Burt, was born in the colliery village of Murton Row in Northumberland on 12th November 1837. 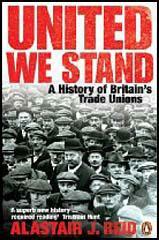 His father, Peter Burt, a miner, was an active trade unionist and a Primitive Methodist. After a bitter mining strike Burt was victimized and the family were forced to move from their tied cottage. After two years of schooling, Thomas Burt, aged only ten, became a trapper boy in Haswell Colliery. Burt worked in a wide variety of pits, and like his father, was forced to move because of his union activities. In 1852 Burt was employed at Seaton Delaval Colliery where he stayed for thirteen years. Despite his brief schooling, Burt had a strong love of reading. His favourite authors incuded Percy Busshe Shelley, Charles Dickens, Thomas Carlyle, John Stuart Mill and John Ruskin and in order to obtain books, Burt had to walk a distance of eighteen miles to Newcastle. Burt's knowledge of politics and economics impressed his fellow miners and in 1863 he was elected secretary and agent of the Northumberland Miners Association (NMA). Following the 1867 Reform Act, the working class made up the majority of the electorate. It was now possible for working class candidates to win parliamentary elections. 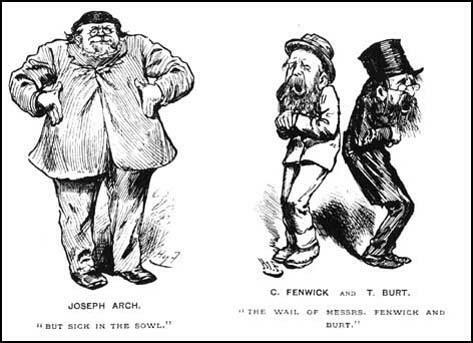 In 1874 General Election Burt stood as the Radical Labour candidate for Morpeth. The local Liberal Party agreed not to put up a candidate in Morpeth and Burt easily beat his Conservative opponent (3,332 to 585). Burt joined Alexander Macdonald, another miner who had been elected as the Lib-Lab MP for Stafford. 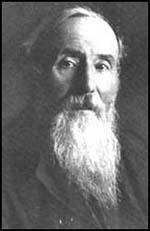 In the House of Commons Burt campaigned for reform of the 1871 Trade Union Act, land reforms suggested by Henry George, in his book, Our Land and Land Policy, the disestablishment of the Church of England, Irish Home Rule and adult male suffrage. Burt was also active in the Temperance Society and the International League of Peace. Burt was re-elected unopposed in the 1880 General Election and held the seat for the next thirty-eight years. After the 1892 General Election, William Gladstone appointed Thomas Burt as Parliamentary Secretary to the Board of Trade, a post he held for three years. Burt remained loyal to the Liberal Party and refused to join the Independent Labour Party when it was formed in 1893. Ill-health forced Burt to retire at the 1918 General Election. He spent the final three years bed-ridden before his death on 12th April 1922. Thomas Burt was buried at the Jesmond Cemetery near his Newcastle home. 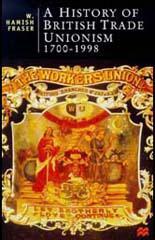 The Trades Unions were very dissatisfied with the attitude of the Liberal Government to the legal position of Trade Unionism. In 1869, at the instigation of John Stuart Mill, an organisation was formed under the name of the Labour Representation League to carry out a national campaign to secure the return of working men to Parliament. It does not appear to have been the intention of this League to form a party which could be permanently in opposition to the Liberal Party. Mills' idea was that, if the working classes put forward working-men candidates and threatened the Liberal majority, the Liberals would be glad to come to terms and provide opportunities for the return of working men. After the election of 1874 the League placed twelve working men in the field, and of these Thomas Burt and Alexander MacDonald were elected at Morpeth and Stafford respectively. In the 1874 General Election, twelve Labour candidates were offered to the electorate. When the bitter election campaigns were done, and the polling was over, England awoke to an amazing fact. Two Labour representatives had been returned to Parliament. Thomas Burt and Alexander MacDonald, the forlorn hope of the mighty army of British workers, flung open the gates of St. Stephen's; and those gates have never been quite shut against since. (3) In February 1887, The Miner, edited by James Keir Hardie, included an article on the career of Thomas Burt. Although unsigned, it is believed that James Cunninghame Graham was the author of the article. From his boyhood he had subjected himself to a course of reading including the choicest literary productions of the English language. He also mastered the mysteries of shorthand, while French and German came in for a share of attention. Mr. Burt is the recognised authority on all labour questions. He has great faith in the doctrines of the Political Economy; and capitalists knowing this, and trading on his honesty, feel that they are quite safe in following his lead. Had Mr. Burt been born into a middle class family, the chances are he would have been an honest conscientious Conservative. As it is, circumstances have made him an extreme Radical in all matters of Reform, but more than half a Conservative on all matters affecting the interest of capitalism. (4) In 1906 Thomas Burt wrote a letter correcting a comment made by William Stead in Review of Reviews that he was a Primitive Methodist. I am not a member - nor have I ever been - of the Primitive Methodists body. My mother and father were Primitives. I went to the Primitive Methodist Sunday school and chapel as a boy and youth. From the travelling preachers - who often came to our house - I derived intellectual stimulus, and benefit; but as I have said, I never was a member.